The “DWA” Series of electronic Torque & Angle wrenches are the best solution for nearly all threaded fasterner applications. Even the simple application of nuts and bolt assemblies in today’s designs often require a torque pre- load for proper seating and a subsequent angular rotation for proper loading. This wrench employs the Patented Technology of precision torque and angular momentum sensing to control both parameters sequentially in a single continuous motion of the wrench. Electronics locate itself anywhere in space to provide a positional reference point and angular rotation of the handle around the ratcheting square drive axis. An intuitive user interface works with the high-contrast LCD display to show torque and angle preset values, display modes and units selection, “ft-lb”, “in-Lb”, and “Nm”. 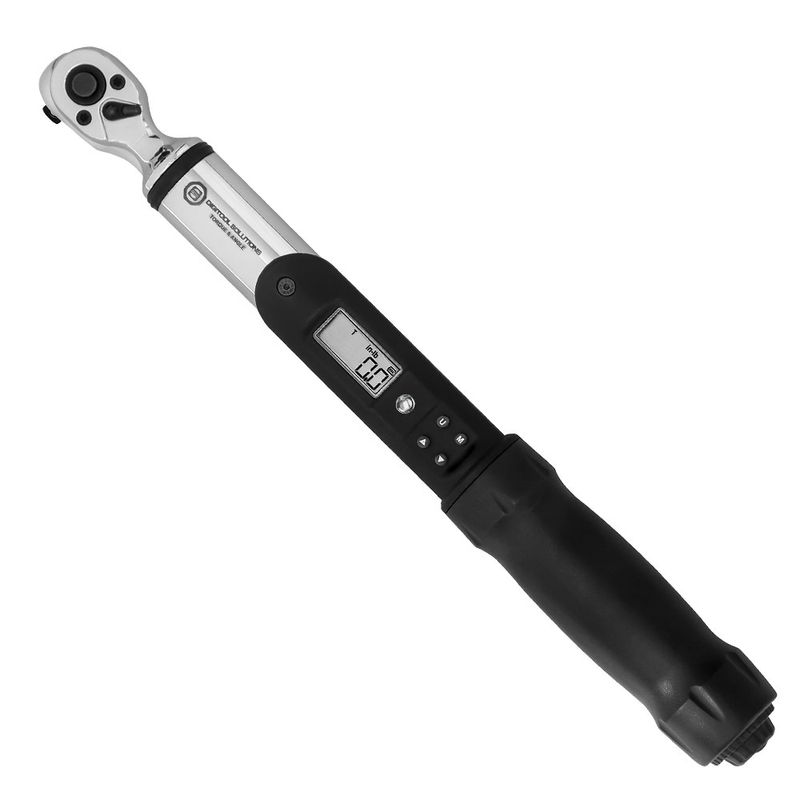 Its real-time digital readout (auto track mode) emulates the precision of a dial type torque wrench. 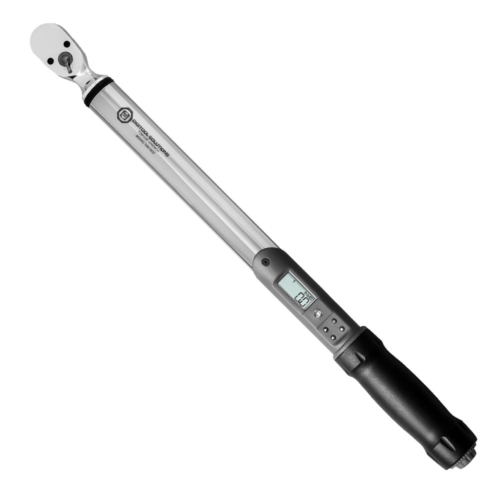 Its torque and angle preset function emulates the familiar click-type torque wrench by producing a handle vibration, LED indicators, and an audible alert at torque or angle preset measurement. Tri-colored LED’s provide real-time early-warning, torque/angle attainment, and over-torque alert. The display also captures peak torque readings in tightening or loosening directions, generally CW to identify maximum torque installations and CW or CCW break-away torque for quality audits of preinstalled fasteners. The DWA features ±1% accuracy of reading between 10% and 100% of full scale in both CW and CCW directions. The wrench is useable down to 5% of full scale with ±3% of reading precision. Its solid-state gyro sensor responds to angular momentum with a 1° precision when driven at a nominal speed of rotation. This wrench will retain calibrated accuracy through 5,000 full scale torque measurements or 20,000 1/2-scale measurements. Three wrench sizes are available, providing 1/4″, 3/8″, and 1/2″ drive. 36-tooth, ratchet heads, covering 12.5 in-lb to 600 ft-lb torque capacity. All DWA series Torque & Angle wrenches comply with ASME B107.28-2005 (Type 1) and ISO-6789-2003 Standards. Factory calibration is performed using certified bars and weights that are traceable to the National Institute of Standards Technology (N.I.S.T.). Angular measurement is factory calibrated to a 90° rotation standard. Actual torque and angle readings and individual serial numbers are included on the calibration certificate.